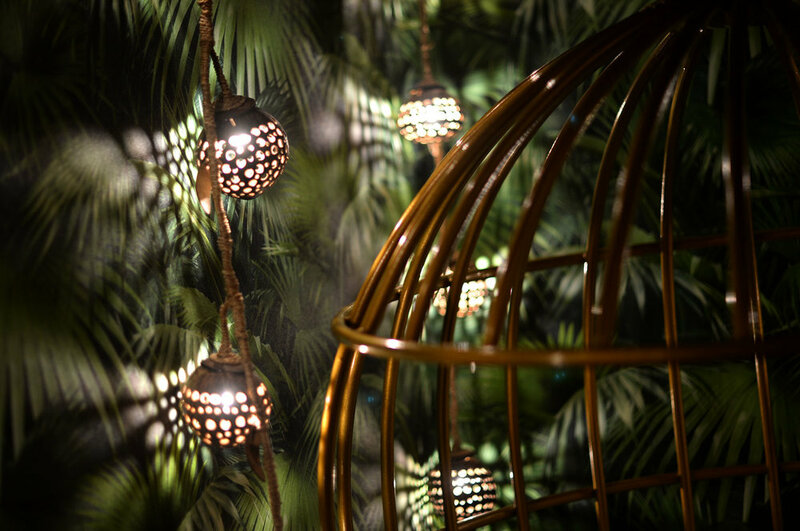 In the heart of Islington, on Upper Street you’ll discover your own tropical escape at Laki Kane. 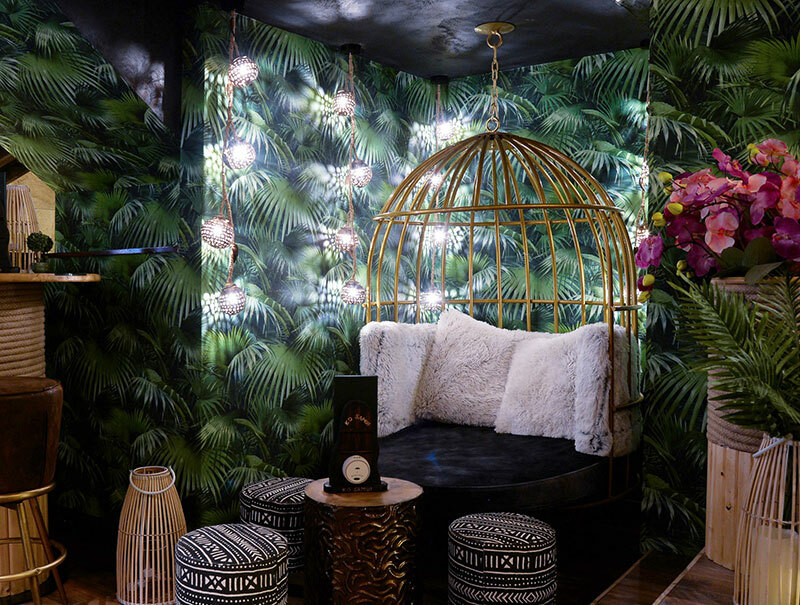 Putting a modern spin on the tiki bar experience, you’ll experience a carnival of the senses packed with the Aloha spirit of eternal happiness. A place with unforgettable cocktails, exciting entertainment, music and DJs all delivered to you with a five-star service and a smile. Our skilled staff will serve London’s best cocktails straight to your table and if you’re hungry, you’ll find a tempting menu of light meals designed to perfectly complement our cocktails. Please use our reservations calendar to make a booking request for your preferred date. Need some assistance or got further questions? Please don’t hesitate to contact our friendly reservations team on 020 7607 0766 or at escape@lakikane.com. We look forward to welcoming you to Laki Kane soon! We accept bookings for parties of all sizes from 2 to 150. Whatever your occasion we can create you the perfect tropical escape. 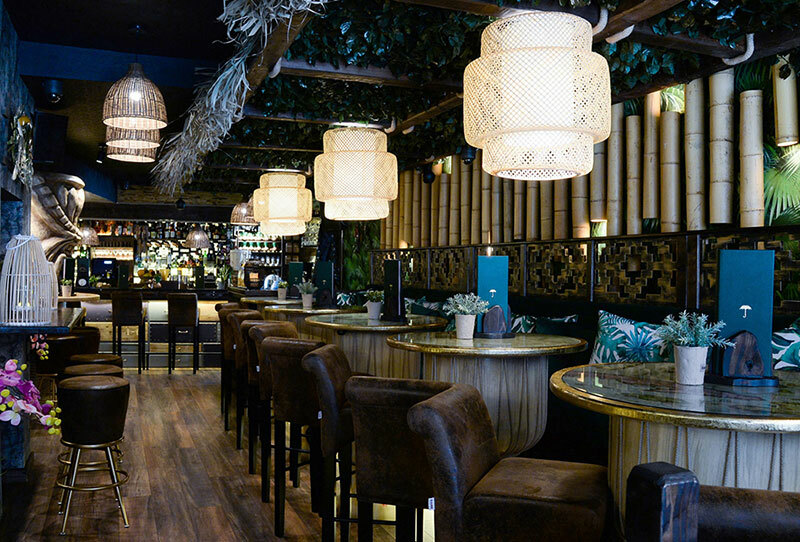 Whether it be individual tables, a private area or full on cocktail bar hire – just let us know what you’re looking for. 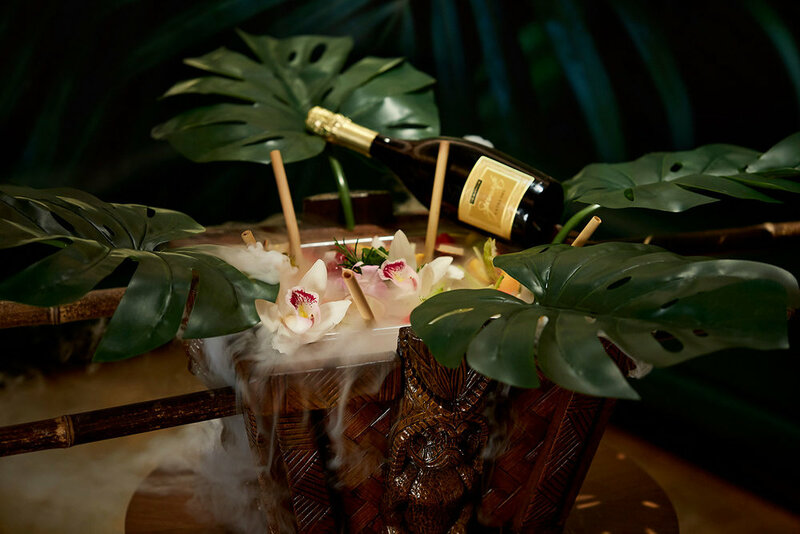 Depending on your event, we offer a range of drinks packages to cater for you and your friends, ensuring you have a truly tropical escape and an unforgettable night. Laki Kane is the culmination of many years of planning by founding partners Steve Kyprianou, Georgi Radev and Sam Robson. Call in for a cocktail – or two – and we promise you’ll enjoy a warm welcome – whatever the weather. 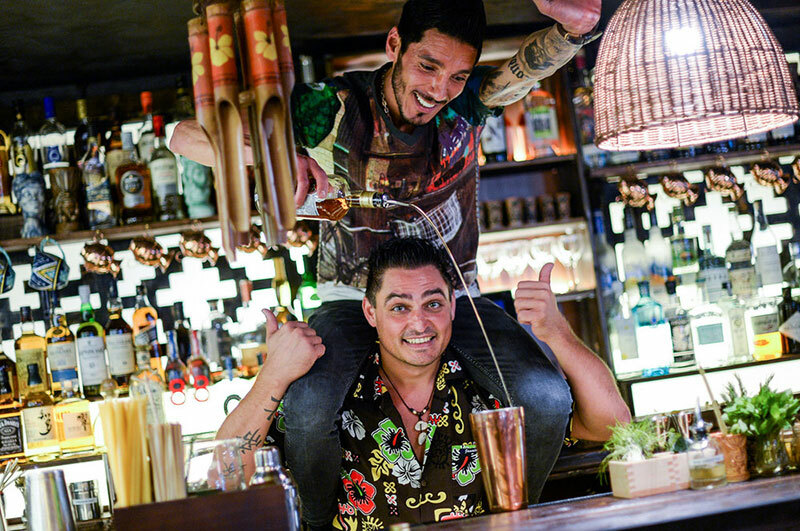 Being the man behind the magic of Mahiki Bars for eleven years, Georgi has been responsible for opening, consulting and running one of the best bars in London, rolling it out globally over the last ten years. 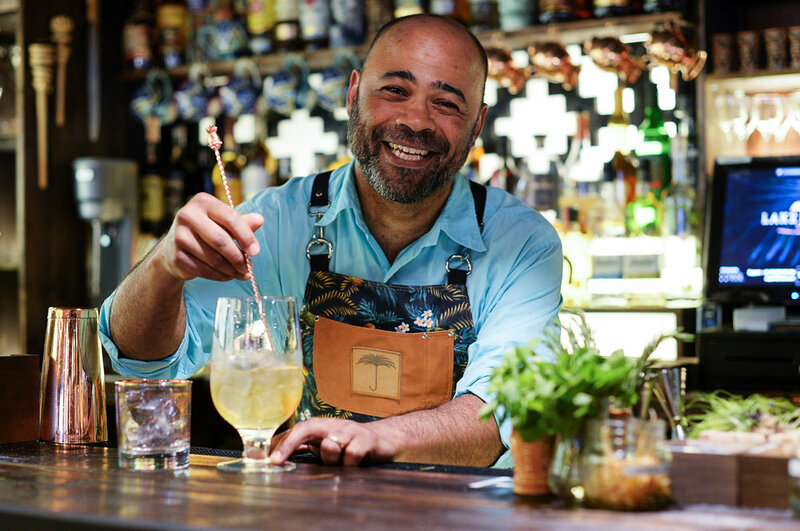 Originally from Bulgaria, he has travelled all over the world to learn - and teach - about rum, tiki and cocktails and is the creator of the unique British festival, Spirit of Tiki. An award-winning global bartender in love with the tropical lifestyle who – above all else – knows how to throw a party! Steve is Islington born and bred. He grew up on the streets of the borough and still makes his home here today. Steve has a background in telecoms and is an owner of TSI, a successful telecoms company that’s also based on Upper Street. Steve is a passionate, bubbly character who oozes energy and prides himself on making others happy. He’s straight talking, generous and always fun and exciting to be around. Sam is an Australian native who has been living in the vibrant borough of Islington for six enjoyable years. With a decade-long career in consultancy and professional services, Sam has ditched the suit and tie and traded them in for a floral shirt and a glass of rum. Sam takes care of the day-to-day at Laki Kane as the Finance & Operations Manager and is a fun-loving, enthusiastic and level-headed character who can now add ‘escaped with Laki Kane’ to his CV! When spirits are aged in barrels, a little of the liquid evaporates over time. Traditionally, this loss is called the ‘angels’ share’. We want to extend the concept by allocating a percentage of the price of every ‘Angel’s Share’ cocktail we sell to local charities here in Islington – our very own Angels’ Share in action in our community. Part of the Laki Kane philosophy is purity. We distil and re-flavour our bar’s exclusive rums the traditional way in a 60-litre copper alembic pot still and we believe we are the first bar in the world to create premium drinks without the use of refined sugars. We produce all our artisanal syrups and garnishes in-house, processed using our own sugar cane mill so you can enjoy the subtle flavours and aromas that come from natural ingredients. Please note that our bar service finishes 30 minutes prior to closing.